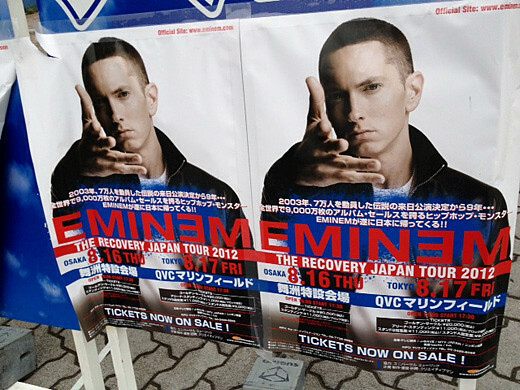 I went to “Eminem” -The Recovery Japan Tour 2012. It was a blast! He is definitely best artist in the world. 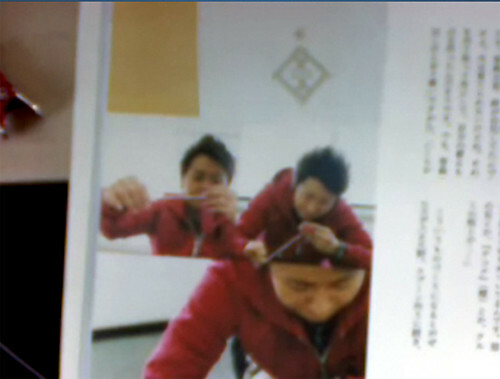 He is legend. 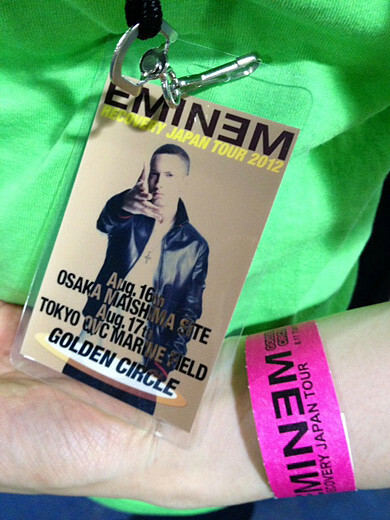 Thank you Eminem for coming to Japan. You are always with us. 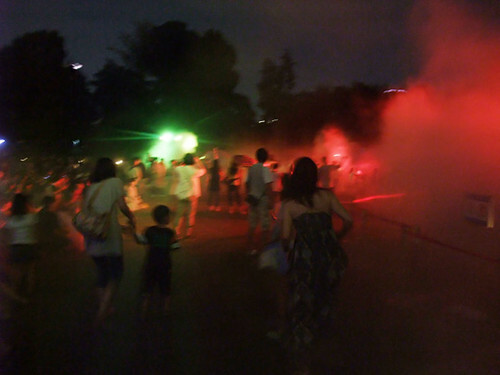 Water fireworks! 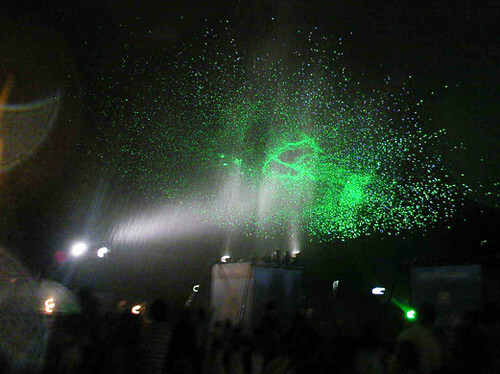 No fire, but beautiful “water works” with laser lights and music. 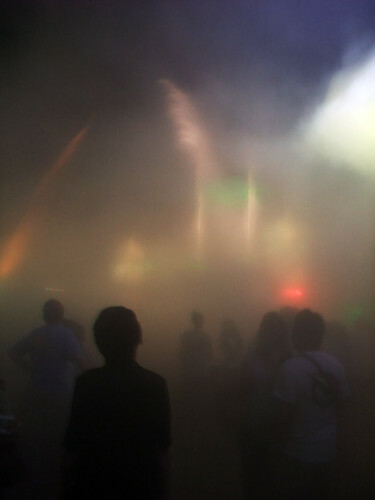 We chose exciting place to experience – near mizu hanabi. 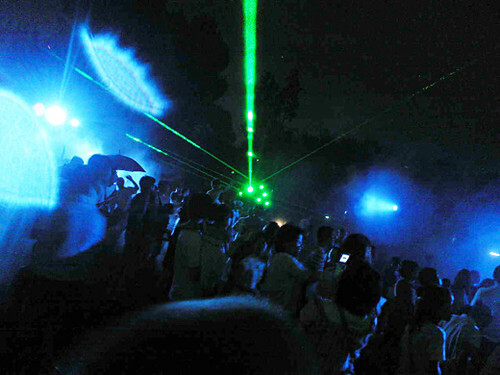 It was so fun, wet wet wet, makes all the people happy! This year Pepsi NEX comercial video features Japanese music artists. They remake musical masterpieces in 80s and 90s. 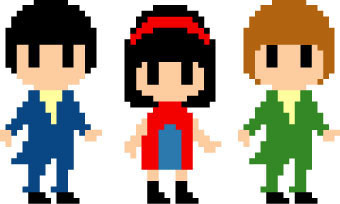 Now Perfume performs Cardigans 90s hit “Love Fool”. 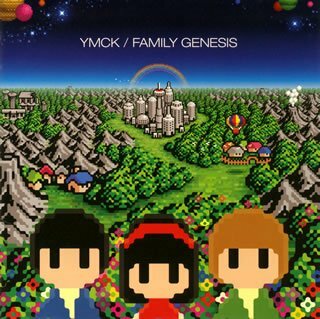 “YMCK” is known as nostalgic 8bit video game-like tunes. How do you feel their artwork ? I wanted to buy thier goods, someday. Finally, I find the “dot” Keychain at a capsule toy vending machine. 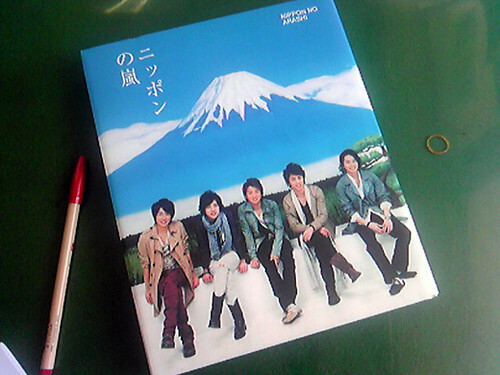 You can purchase it at HMV Shibuya and Village van guard chain stores. 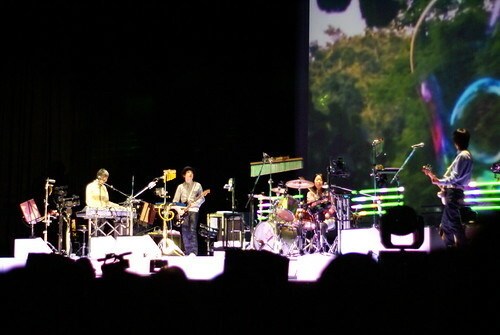 A large-scale concert of cornelius was held in Tokyo international forum after a long absence. He continued music activity during about 20 years, and has been challenging the various latest technology and ideas recently. 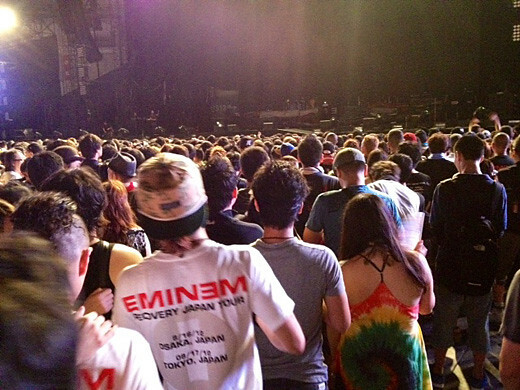 In this concert, he shoed the performance that high-definition picture and music synchronized with HD screen. 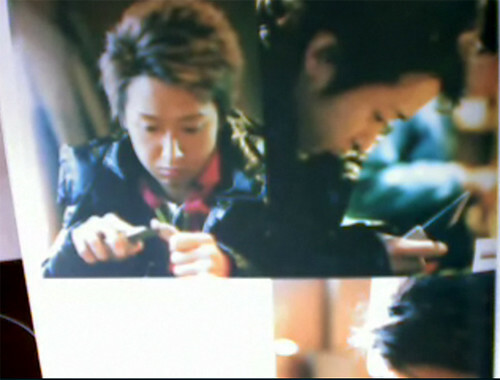 The DVD will be released. This is a pleasure, too. 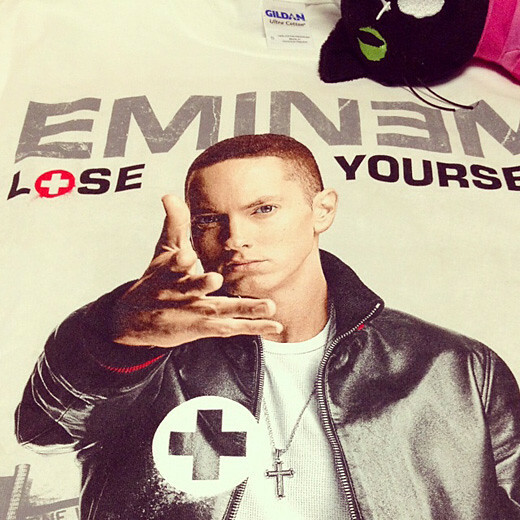 The U.S TOWER RECORDS has unfortunately gone bankrupt, but the Japanese TOWER RECORDS is still alive and well. 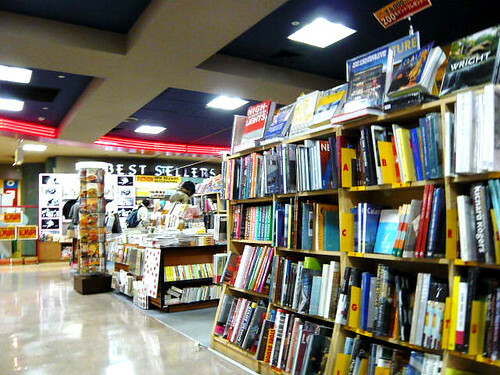 (It is the same brand as the U.S TOWER RECORDS, but a different capital business from it). 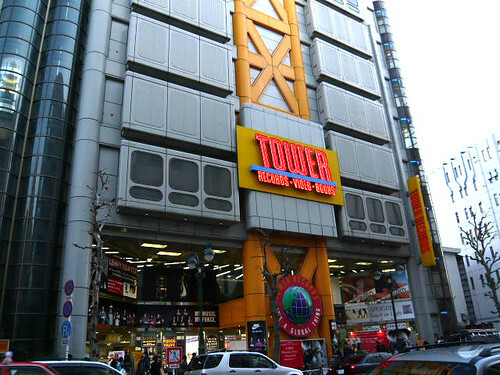 TOWER RECORDS Shibuya store is the largest CD shop in Japan. I bet you can find relatively “rare” CDs if you try there!